What makes long runs shorter? 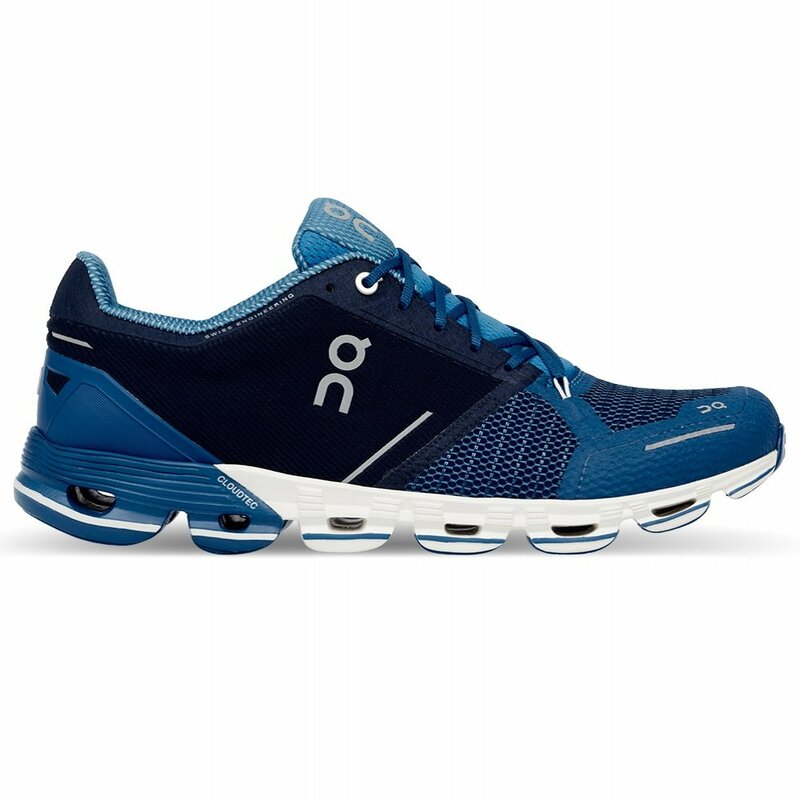 Quality gear like the ON Cloudflyer Runner Shoe. These ultralight running shoes come with all the support you’ve come to expect from ON with additional features that make them the perfect choices for high-performance runners. The shoe is designed with CloudTec® that keeps them one of the lightest shoes around. The stability tube in the mid-foot provides comfortable support and the CloudTec® sole uses the iconic cloud system for added cushion and spring while running. The dual-density sockliner makes the ON Cloudflyer Running Shoe a comfortable choice, and the reflective detailing keeps you save on early morning or late-night runs.